A common type of payment is the single one time fee. This is where your customer only has one payment to make in order to get access to your product or service. 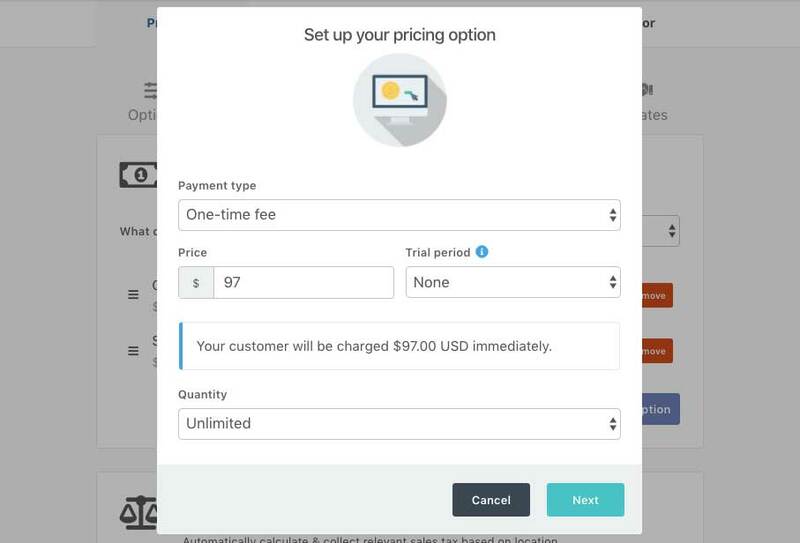 To set up the payment option for your product you under your product settings you need to head to the Product tab followed by the Payment tab. Currency – First you will choose what currency you wish to charge your customers in for this product. Here we can enter our price for our product. You can use whole numbers or decimals. Please note, if you’re in a country that typically uses a comma to separate your price then you will need to use a period in the price field. For example, if your price would typically be displayed as 99,99€ then in the Price field you would enter 99.99 you do not need to enter the currency symbol either as this is taken from the currency field above. If you’re looking to set a trial on your product you can choose the option from within here. We have a dedicated article on trials here. Once you’ve completed your payment settings for your product you will be given a clear precise breakdown of exactly what your customer will be charged. This is exceptionally helpful when dealing with other payment types. 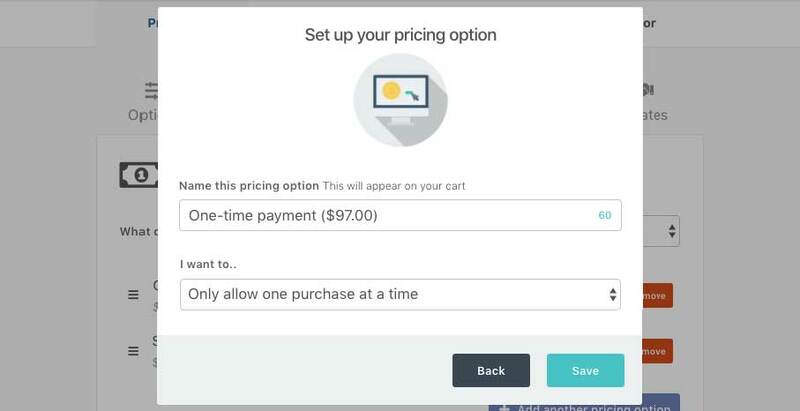 You can choose to set a quantity limit for this payment option so that it can only be used a specific number of times. Once happy, you’ll want to click Next. Here we can give our payment option a descriptive name. If you are planning on having multiple payment options on your checkout page, this is what will be displayed to the customer. If you enable this option, your customers will be able to add multiple quantities of this product to their order. Finally, you need to click the Save button to save your payment option.